I got a few comments after that post about how reminiscent the method was of those used in Indian curries. In fact, I had come up with the recipe when paging through an Indian cookbook. 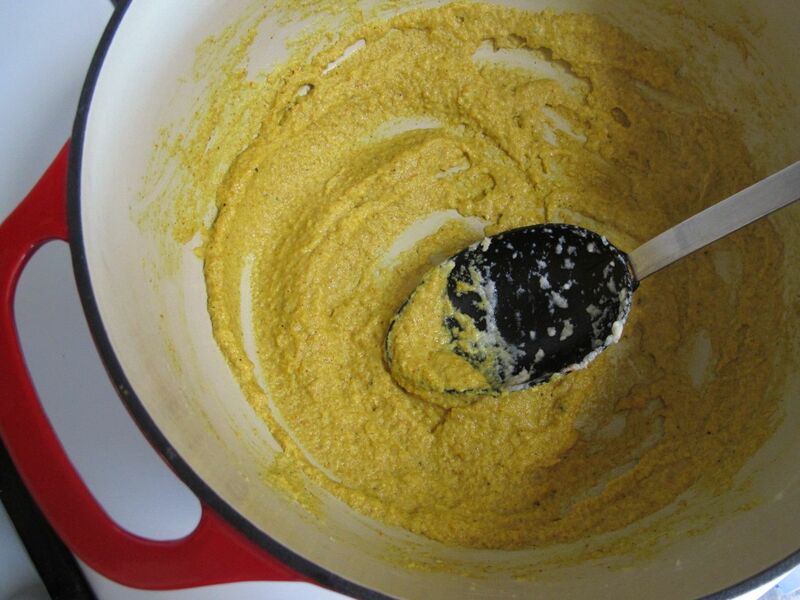 Many north Indian curries start with a blended paste of garlic and ginger — often with water added for easier blending — so instead of using water in the paste, I used some of the coconut milk that I would later add to the curry anyway. …and it’s finally here! Of course I can’t blame myself too much for the delay — I’ve only just gotten back into the kitchen (and, you know, chopping things with knives) over the last month or so, after I spent the spring frantically finishing my dissertation, and the summer sitting around resting/heating/icing my wrists from the ensuing RSI. Luckily, this curry involves very little chopping: the onion gets blended up into a paste, along with the ginger and garlic, so really the only thing that needs to be cut up is the chicken (which I’ve told Paula is now her job). 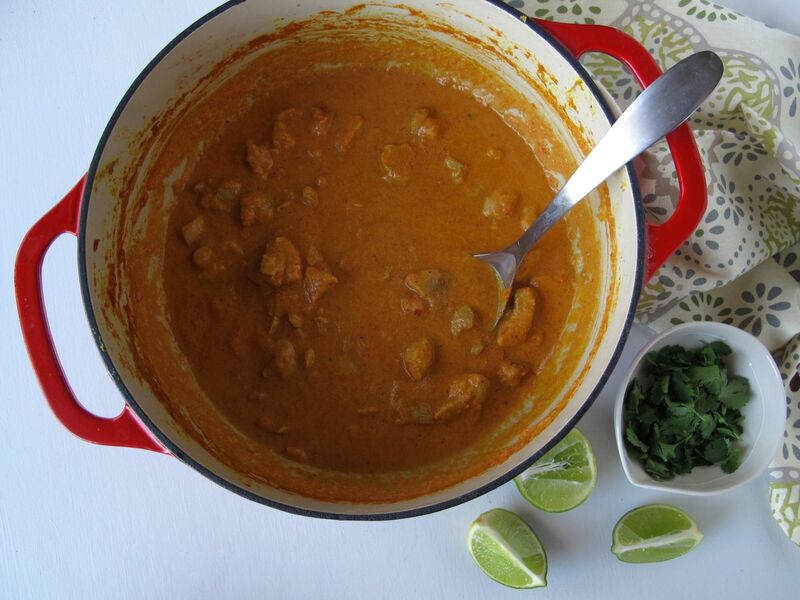 The curry sauce gets its body from crushed tomatoes, and its creaminess from coconut milk. 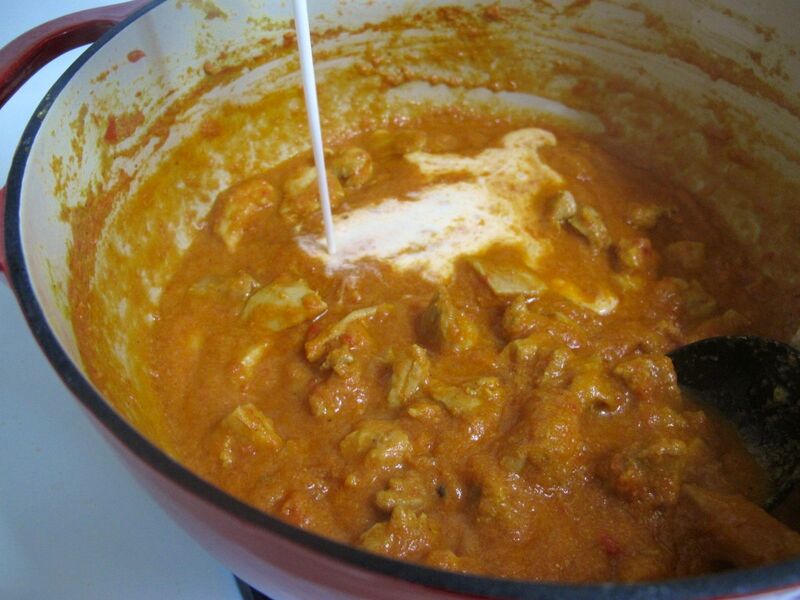 The coconut milk makes the curry a lot lighter than if you were to add heavy cream (which is something I rarely stock in my kitchen), but I make up for that by using some butter or ghee, for a little hint of the richness you’d get in a butter chicken curry. And all of the flavor comes from cooking down the paste of aromatics, along with a blend of ground spices — the ones that are often in “curry powder,” plus a few extras, if you have them around. This has become one of our favorite go-to weeknight chicken-centered dinners. I won’t rehash all of my whining about the cost and mediocrity of most of the restaurants where we live, but I’ll just say this: it’s awfully nice to be able to make our own quick and easy Indian food at home. Active time: 30 min. ; Total time: 45 minutes. 0. 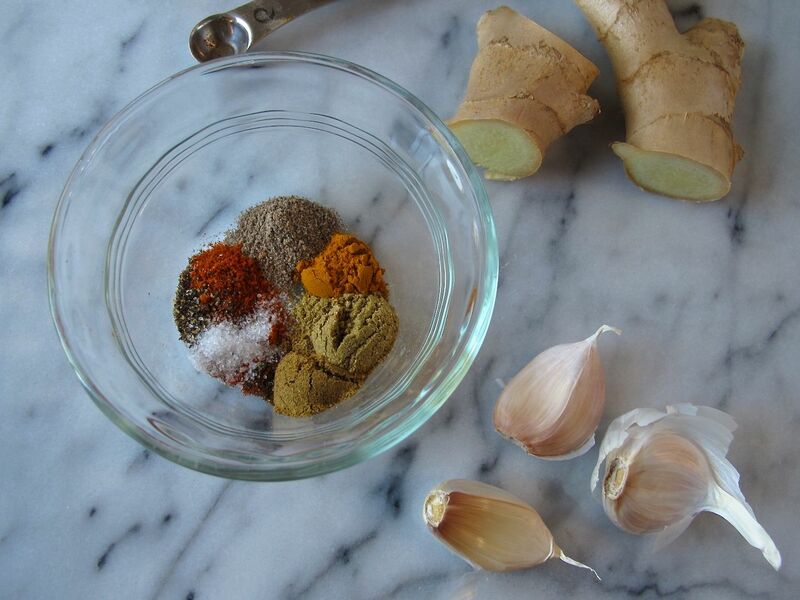 Measure out and combine all ground spices (except the garam masala) into a small prep bowl and set aside. Chop up the chicken and set aside. 1. 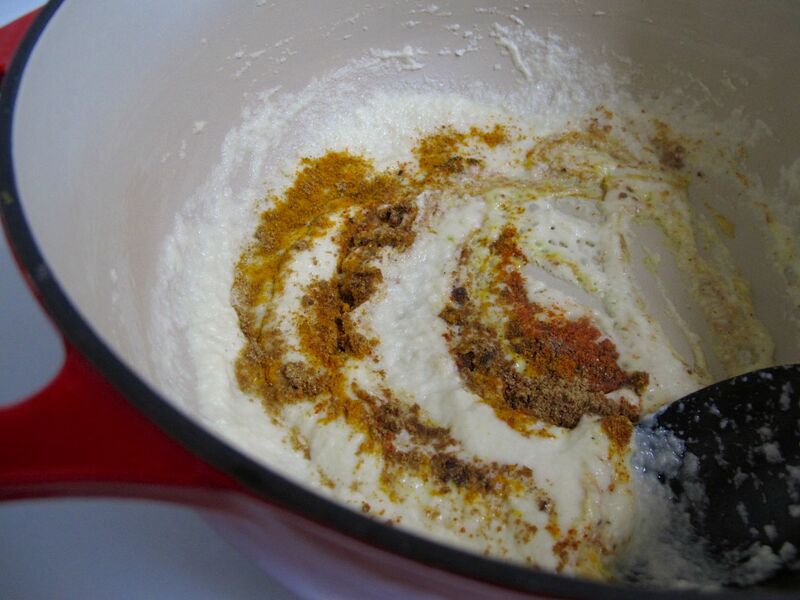 Add the garlic, ginger, and onion to a blender, along with a few tablespoons of coconut milk to help them blend. 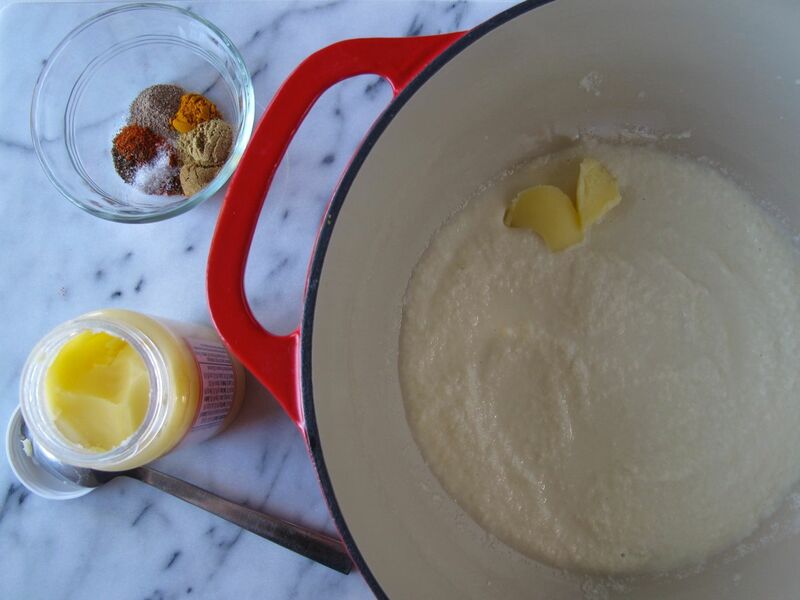 Puree until smooth, adding more coconut milk if needed; you can discard any large chunks of ginger that remain. 3. Add all of the ground spices (except the garam masala) to the pot, and stir well to cook them into the paste for about 2 minutes. Then add the chicken, turn the heat up to high, and stir often to coat the pieces of chicken in the spices for about 5 minutes, as you “sear” the chicken around the outside of each piece (although you won’t really be searing or browning the meat because of all the moisture from the coconut milk and onions, but you’ll at least be giving it a head start in cooking). 4. 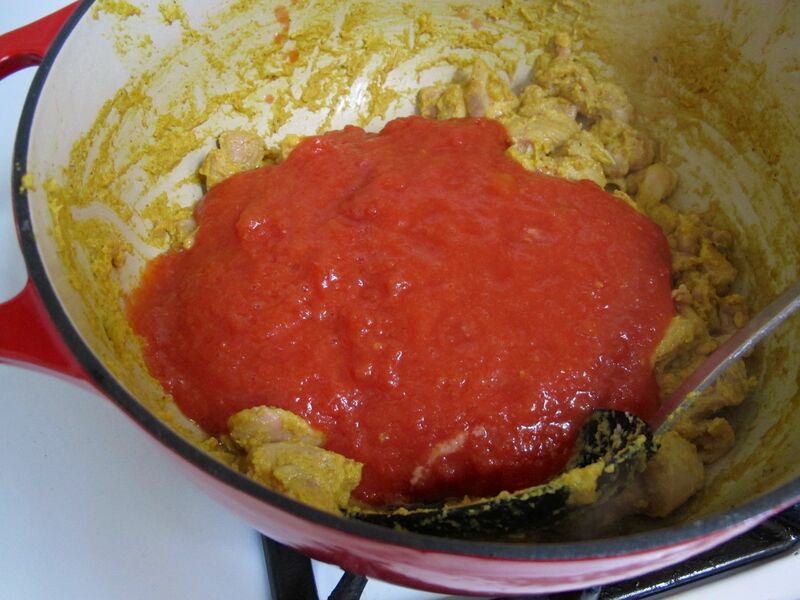 Meanwhile, unless you’re using a can of very finely crushed tomatoes, pour the can of diced tomatoes into the blender and pulse until you get a thick smooth sauce, with no large chunks of diced tomatoes (or to your preferred consistency). 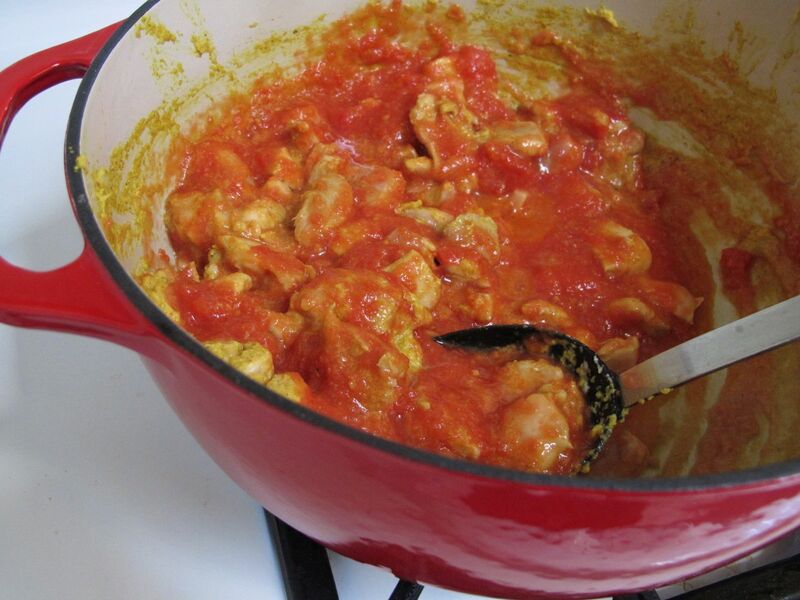 After the chicken has been cooking for about 5 minutes, add the tomato sauce to the pot, lower to medium heat, and simmer for 10-15 minutes, stirring occasionally. 5. 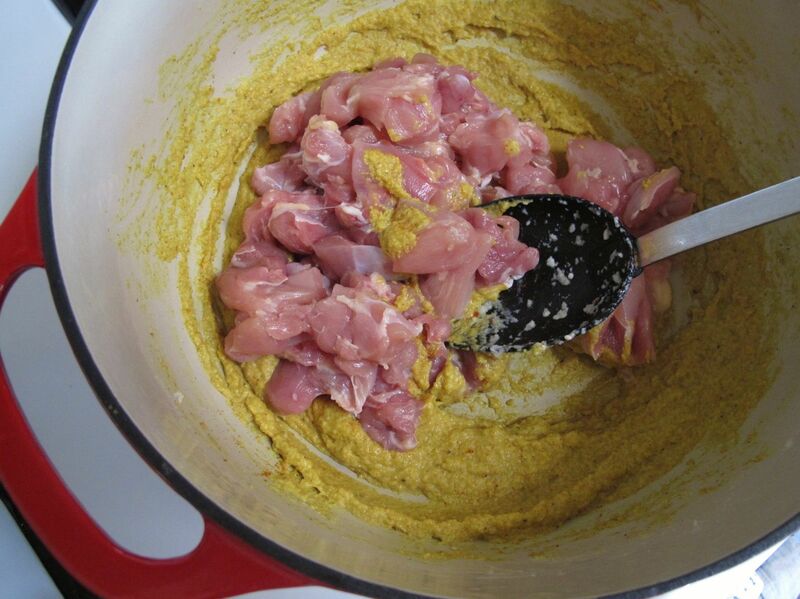 Once the chicken has cooked through, add the garam masala, give it a stir, then taste the curry sauce and adjust the seasoning as needed, adding more salt/chili powder/etc. if necessary. 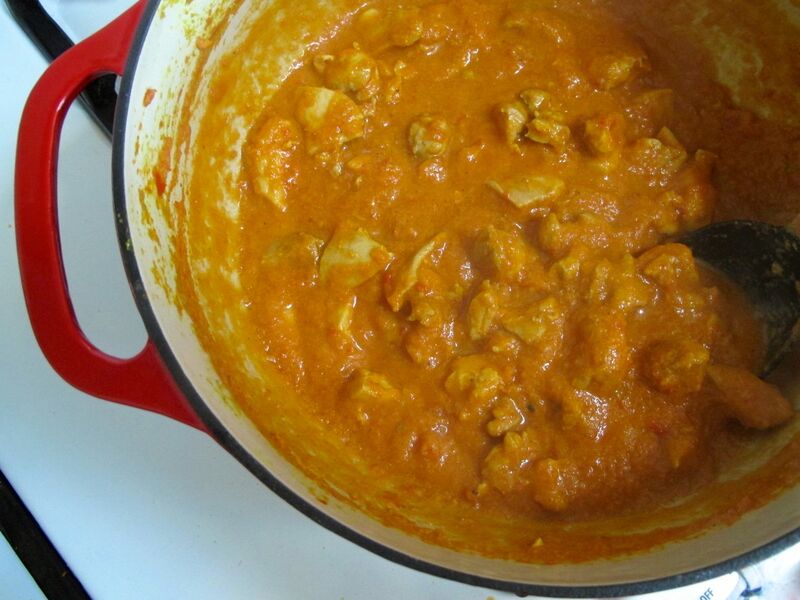 Then turn the heat down to low, and stir in the rest of the coconut milk (use the entire can for a creamier orange curry, or only about half a can total for a more tomato-y curry, with just a little richness). Cook for another 2-3 minutes, then remove from the heat. 6. 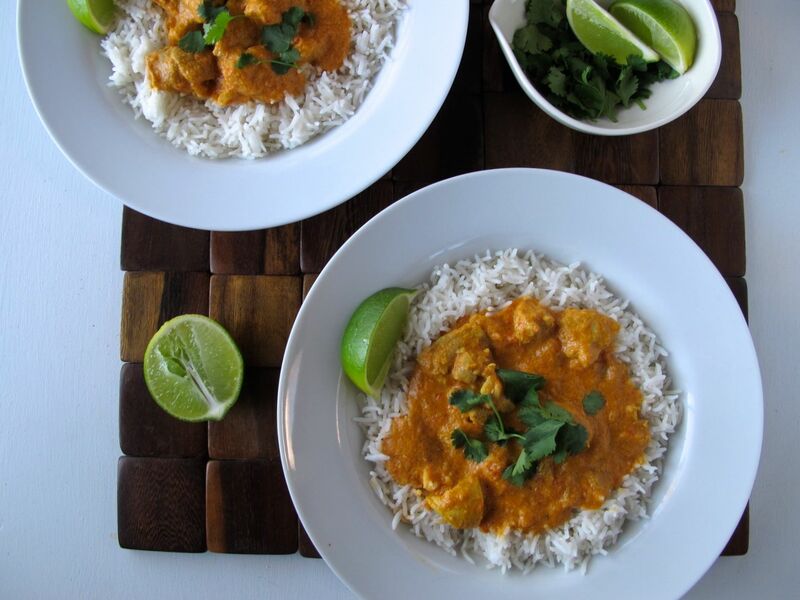 Garnish with fresh lime juice and torn fresh cilantro, and serve warm with basmati rice and/or naan. so pretty! I love curry! Thanks to both of you for your comments! Yes, I love all kinds of dal, including chana dal, but I don’t actually make it very often. (Something about the planning ahead involved in soaking… although I guess if I can manage to remember ahead of time to soak pinto beans or dried chickpeas overnight, then I could probably manage to plan ahead and soak chana dal for an hour or two…). I just more often reach for smaller, faster-cooking lentils like yellow split peas or red lentils. Anyway, I recently bought my first slow cooker, and chana dal seems like a perfect thing to try making in it! Wow, yum! 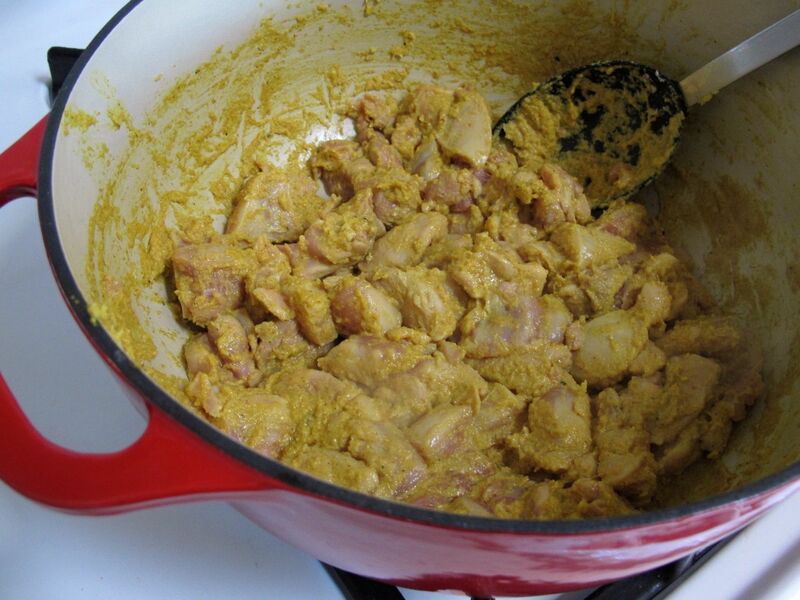 I love curry but I would much prefer to make it myself than continue eating the mediocre stuff around me. Can’t wait to try! Yum, what a heartwarming dish for cold days! Looks so fragrant and tasty! This is beautiful. I have the same pot as you, same color too :) I love all of the spices here and how colorful it is. This is a great go-to dish. Thank you. I hope you’re doing well! Thanks, Amanda! I am doing well, other than residual tendinitis (which is why I’m still only posting every other week — and why I’ve been downright pathetic about responding to comments and visiting other blogs I love, like yours!). 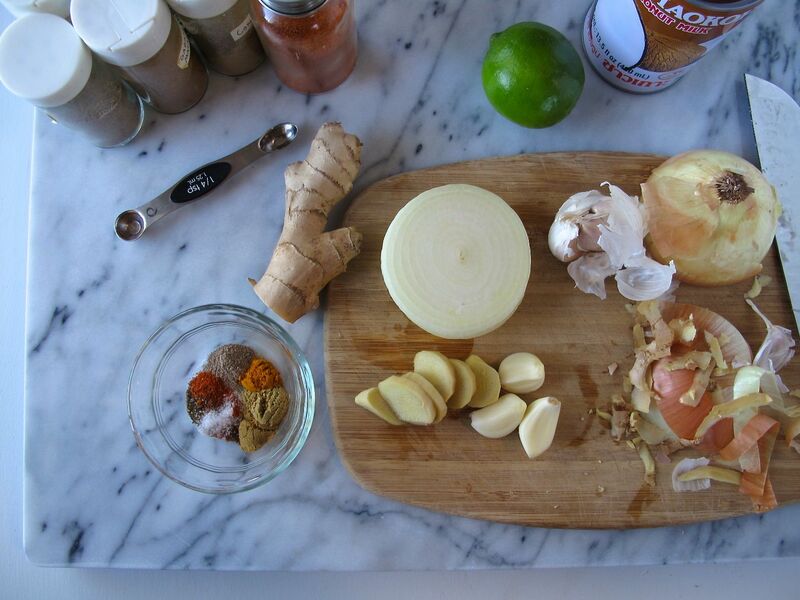 This curry is definitely going to be a keeper as a go-to dish. And that’s awesome you have the same pot. Not sure if you can tell but it’s Lodge (not Le Creuset), which is how we could afford it! I never owned a Dutch oven before this one, but I absolutely love cooking in it. And it’s super easy to clean — or so Paula tells me, since it’s too heavy for me to wash it, until my arms get better. Yes! Same pot. Easy to clean but too heavy! Glad you’re doing okay but for the tendonitis. No worries about slowing posts and comments. Sometimes life happens. In just happy to see what you’re cooking when you’re around! Happy thanksgiving! 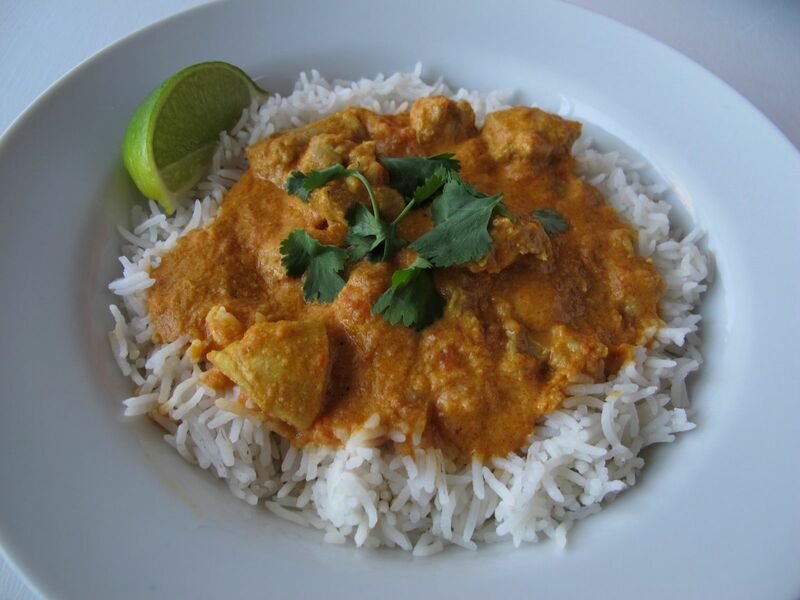 okay, so that looks delicious, allison: it’s early in the morning as i’m writing this, and you’ve got me super hungry for curry: that’s saying something for 6:30 am. :) beautiful! 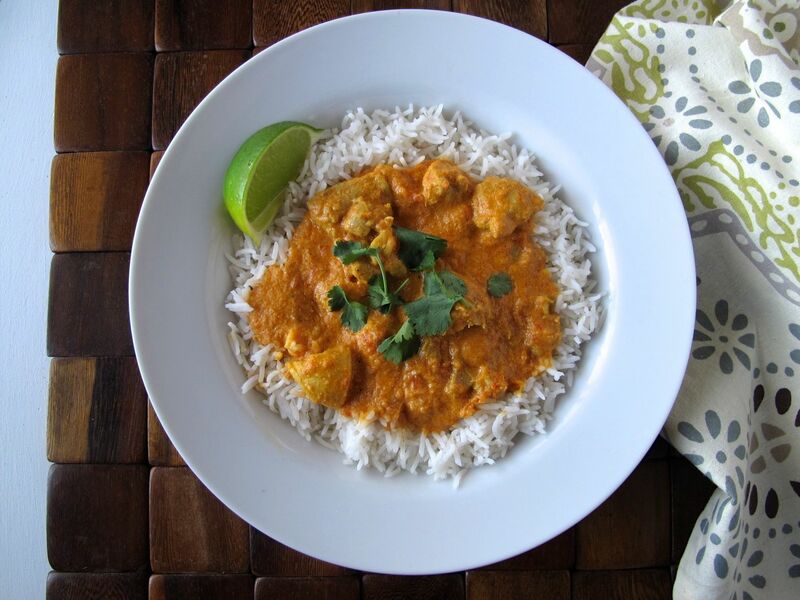 definitely will try this: i mope around feeling really sorry for myself b/c no one likes indian food in this house but me, who loves it, and never gets the opportunity to make it. thank you! Anyway, I feel your pain a little bit because I had to make a lot of adjustments to my Indian curry-making once I started dating Paula, not because she didn’t like Indian food, but because she hates the texture of chunks of onions, and I never used to dice them very finely, like for chana masala, or dal… but now we’ve found some workarounds for that, like how we puree them in this recipe. Wow, this looks wonderful! 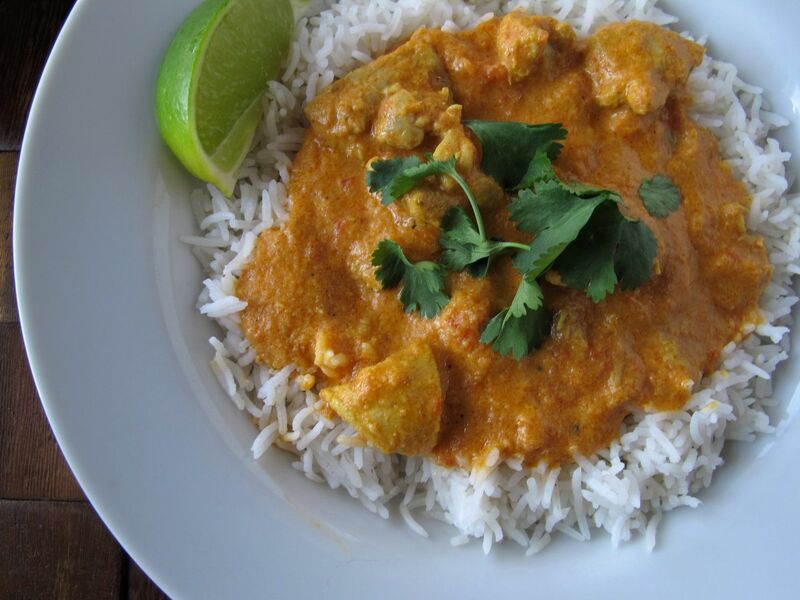 I love curry and this recipe sounds amazing :) I am hungry and craving curry now! Somehow I’ve always been convinced I dislike curry, but photos like these make me think otherwise. 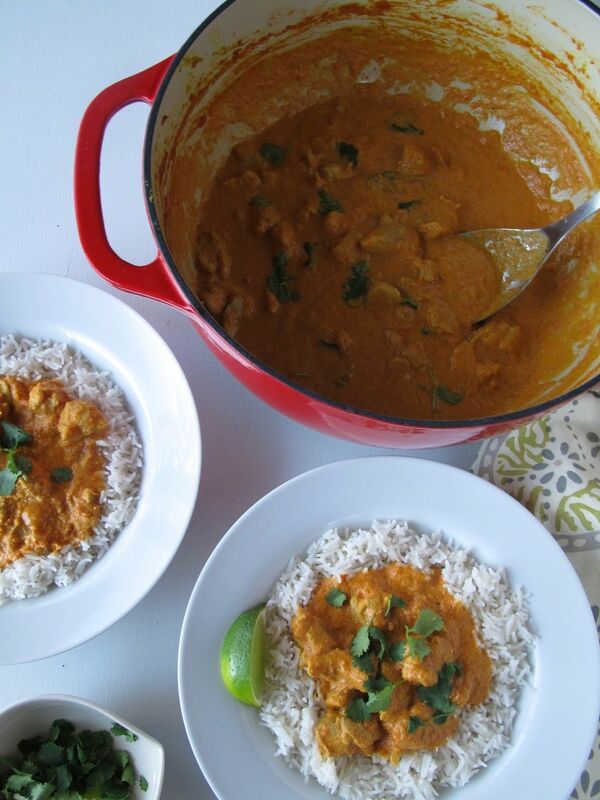 I DO think I’ll love this recipe–and maybe the peanut curry as well (I lurve peanuts so much)! 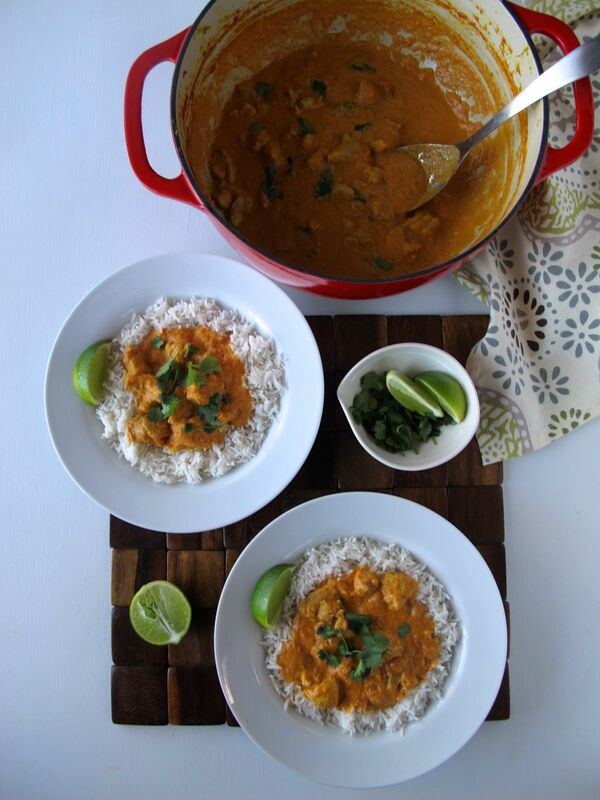 Thanks for sharing, I’ll need to try my hand at the curry train again soon! Yay, I’m happy to hear that you tried it & liked it! That rice sounds delicious. I’m usually so lazy with rice, the most I ever do is throw in turmeric/cumin and/or a bay leaf, but I can imagine the lemon juice and zest especially making a big difference.